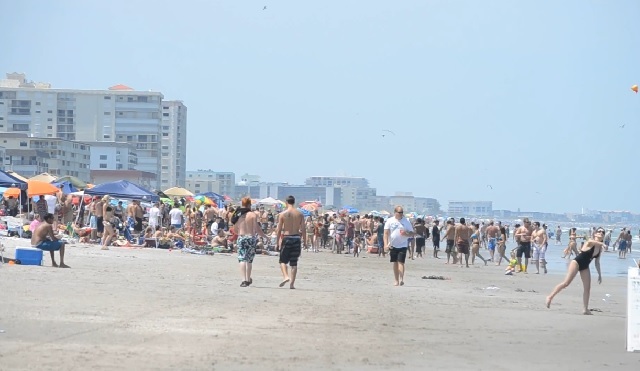 COCOA BEACH, Florida - Beach Rangers in Cocoa Beach, Florida will now have the authority to issue citations for violations committed by beachgoers. Previously, Beach Rangers were only permitted to issue warnings or summon police officers if the warnings were ineffective at stopping misconduct at the beach. Under the ordinance approved by the Cocoa Beach City Commission on Thursday, Beach Rangers will have code enforcement powers to issue citations for prohibited beach activities such as swimming under the influence of alcohol or drugs, digging holes deeper than eighteen inches, creating a public disturbance of the peace, erecting tents or canopies larger than 10 feet, creating a DJ music setup to attract a crowd, climbing on lifeguard towers, feeding wild birds, using beer bongs, pets on the beach, littering, and charcoal grills on the beach. The Beach Ranger program started in 2012 as an alternative to banning alcohol on the beach. In 2016, Brevard County beaches were ranked the 6th most drunkest in America.